If I were going to compare this novel to another one, I guess I would choose Wither by Lauran DeStefano. And I haven’t read Bumped, but from what I’ve heard it has similar premises too. Aside from those two books, the idea behind this novel was basically unexplored. Then Safe Lands are not so safe anymore. The Thin Plague has thrived on the wild lifestyles of the Safe Land’s inhabitants. Pregnancy for their disease ridden citizen’s is no longer possible. The bodies of the infected just aren’t capable of bearing children. They need fresh meat. They need Outlanders. Enter three brothers, Levi, Omar, and Mason. Levi has everything; the girl, the sharp-shooting abilities, the popularity, and, most importantly, the love of their father. And although Mason could be better on the hunt, at least he has a fiancé and position as the tribe doctor. Omar, on the other hand, has nothing, and as far as their father is concerned, is worth nothing. Perhaps that is why the comfortable, pleasure filled life of the Safe Landers is so appealing to him; appealing enough for him to sell his tribe as healthy surrogates in exchange for a high position among the Safe Landers. I loved how much thought was put into this book. It felt like the author had spent a lot of time dwelling on the story world and it really showed through. Every single setting was bright and alive. There was never a time when I thought an aspect of society wasn’t well thought out, explored, and presented. This is an important aspect with any book, but especially a dystopian because its chief purpose is to illustrate a society that is different than ours but also has the potential to be very similar if we’re not careful. This is where I seen many midlist dystopian falling short. Their worlds and societies are not fully developed. I’m really glad that wasn’t the case here. However, with a well developed backdrop comes a trap that I see much historical, fantasy, and science fiction writers fall into. The trap is to go a little too far into society; show a little too much of what you, as the author, know to the reader. Yes, the details should be there, but it should be the stage and backdrop the story is played out on, not an important part of the story itself. And that brings us to the story. As a whole, I liked the story Jill Williamson had to tell. I really did. But the way she told it left—in my opinion—something to be desired. Captives switches between four point of view characters, the three brothers plus one of the tribe’s young girls selected to be a surrogate mother for the Safe Lands. Maybe this would have been alright if the characters had taken turns narrating in some kind of order, Levi, Mason, Omar, Shaylinn, then back to Levi, but that wasn’t the case. With each new chapter, you were never sure who would take center stage. And with that many people vying for your attention, it was hard to get deeply attached to any one of them. 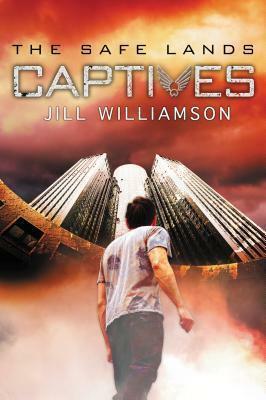 Another thing that demanded a lot of attention was all the issues dealt with in Captives. I think the main one was “don’t find your fulfillment with the temporary pleasures you might be offered,” but coming in as a close second was ideas of betrayal and forgiveness. Also, the ideas of being content with yourself as you are, life after death, and the ideas of fate and karma were bandied about a little bit, though not very deeply. On the whole, I felt there were both pros and cons in this book. It had an over-all good story. The characters were fresh and well developed, the world was well realized, the message was good and clean. However, there was, for me, just a little too much going on in this novel. If Jill Williamson could have narrowed the scope of the novel a little bit, elevated one of her characters to more of a center stage position, and focused more completely on one underlying issue this book could have gone from and over-all good story to a great one. I’ll be reading her next book in the Safe Lands series, Outcasts, which comes out in November. I hope to see a few of the problems I’ve mentioned here rectified so this series can make the jump from good to great, as I know the author is capable of. I've ordered the book last week, am very curious to read it! I'm actually going to start reading this book today or tomorrow. I'm hoping it's good! It will be only my second try at the dystopian, so we'll see how it goes. My first try (The Maze Runner by James Dashner) ended in Chapter 14.